February is LGBT History Month in the UK and we hope you join us in celebrating, raising awareness and keeping LGBT+ people visible and safe. There will be hundreds of special events, exhibitions, film screenings, talks and other activities organised throughout the month of February, in London and the rest of the UK. Check out this London event calendar for more details AND OUTing The Past festival page. LSE exhibition (£free): ‘In memory of Naomi Hersi: the impalpable lives and history of queer and trans and intersex people of colour‘. Running from Monday, 4 Feb. – Friday, 15 Feb.
Saturday, 9 Feb. at 6pm at the National Maritime Museum, Greenwich (£free, ticket required) – OUTing the Past event. Tuesday, 12 Feb. at 7.30pm £free tickets to ‘Leave to Remain‘ show. Email Jovita joadom@syr.edu if you’d like a ticket – first come, first served. “A modern love story with music by Bloc Party’s Kele Okereke. Save the date: Wednesday, 27 Feb. at 5.30pm / Syracuse London Symposium: “Brave Space”: Queer Histories and Identities in London. More details at sulondon.syr.edu/brave-space. If you do attend an event, even it’s not one of the ones highlighted above, remember you can always reflect on your experience for a Syracuse London Passport stamp! I would love to hear your thoughts, stories so please come and have a chat with me in the office – Jovita. 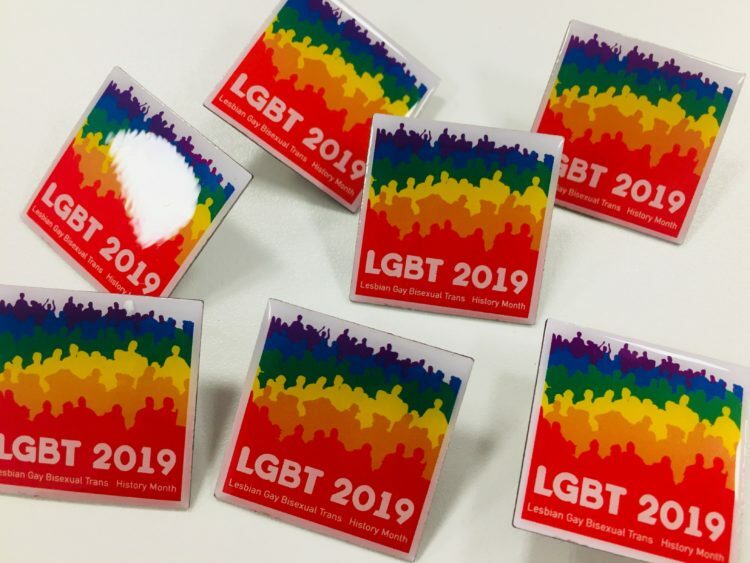 Also, grab an LGBT History Month badge in Faraday Commons and we hope you wear it with pride.